Whether from disease, malnutrition or genetic disorders, sometimes it is necessary for us to extract all of a patient’s lower or upper teeth. While this can be devastating, dentures can provide a second chance at a beautiful smile. Having complete dentures help with chewing as well as support one’s facial structure and improve speech. An implant-supported denture is used when a person doesn’t have any teeth in the jaw, but has enough bone in the jaw to support implants, although, Dr. Haghiri can graft new bone structure for the patients who are right candidates for Bone Graft Surgery. (Patients with severe bone loss or patients who have lost their bone structure through many years of wearing regular dentures should ask their dentists about their options on bone graft surgery.) An implant-supported denture has special attachments that snap onto attachments on the implants. Implant-supported dentures usually are made for the lower jaw because regular dentures tend to be less stable there. Usually, a regular denture made to fit an upper jaw is quite stable on its own and doesn’t need the extra support offered by implants. However, you can receive an implant-supported denture in either the upper or lower jaw. By having Implant Supported dentures, you will never have to worry about your dentures going loose or coming off when you don’t plan on having them off. They will always stay stable in place with no movement whatsoever. You will not need any kind of glue or chemical material to stabilize your denture in your mouth, and have freedom to take them off at any time you desire. You should remove an implant-supported denture daily to clean the denture and gum area. Just as with regular dentures, you should not sleep with the implant-supported dentures at night. Some people prefer to have fixed (permanent) crown and bridgework in their mouths that can’t be removed. Dr. Haghiri will discuss your best options with you and will consider your particular needs and preferences when suggesting fixed or removable options. 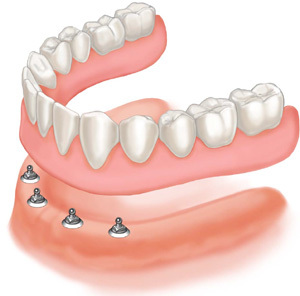 Ball-retained dentures (stud-attachment dentures) — Each implant in the jawbone holds a metal attachment that fits into another attachment on the denture. In most cases, the attachments on the implants are ball-shaped (“male” attachments), and they fit into sockets (“female” attachments) on the denture. In some cases, the denture holds the male attachments and the implants hold the female ones. 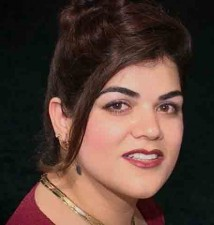 Here at American Dental Center, Dr. Haghiri and her professional associates are committed to provide services that are to our patients’ full satisfaction.If your dentures need repairs or adjustments, come by in the morning and we will do our best to get them fixed by the same afternoon. With immediate dentures, you can have a full set of teeth while you are waiting for your gums to heal and your bone to realign after having teeth removed. This can take up to six months, so immediate dentures are a great alternative during that time. Sometimes, complete dentures are not necessary. 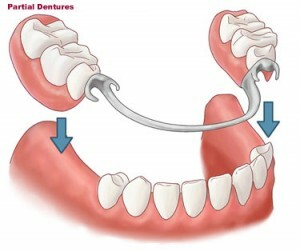 Partial dentures can replace a string of missing teeth, and are secured to your remaining teeth with clasps. No matter which kind of dentures you choose, you can be assured to receive natural-looking dentures that match your facial structure and desired tooth color. We also provide fast and affordable repairs for your dentures. Usually we can complete repairs the same day!